Is it how you treat you stocks? At the end of last October, the Chinese stock market index was up 70% for the year. One would expect Chinese investors to be making money hand over fist. Not so, the Chinese Securities Investor Protection Agency, the equivalent of SIPC, did a survey of investors in November that garnered 2,791 valid responses. The result was shocking. Only 35% of investors made money in 2009! Of those who made money, 80% saw a return of less than 50%. Apparently, investors’ tendency to hurt themselves knows no national border. The Chinese hurt themselves like their U.S. counterparts, by trying to outsmart the market, albeit at a much more frenzied pace. 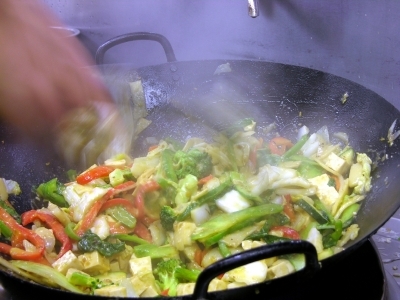 They even have a vivid term for trading stocks–“stir-frying stocks.” So what flavor did they cook up? Apparently a bitter one. The late economist, Paul Samuelson says, “Wise investing is like watching grass grow.” That has proved to be extremely hard for investors everywhere. If we financial advisors can help our clients do that, we’ve earned our keep.